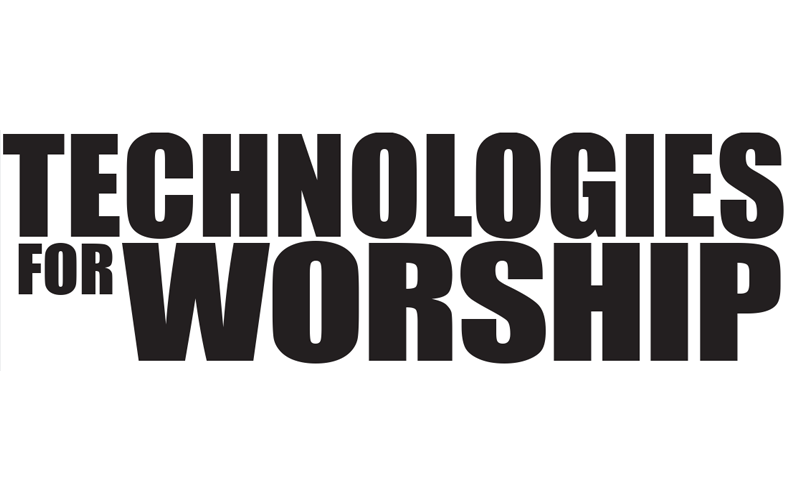 As houses of worship more frequently employ audio technology to enhance their services, wireless microphone systems are becoming an increasingly important part of a church’s equipment inventory. If you are currently considering a wireless system, or are just interested in learning more about how this technology may benefit your current system, this article will help answer your questions and concerns. Does the mic user need to be able to move about freely? In what kind of setting(s) will the microphone be used? Are your services held in a large traditional sanctuary or an alternate, untraditional venue? The main benefit of using a wireless microphone system is increased mobility and flexibility in how the microphone is used. By allowing the person (or people) speaking, singing, or playing an instrument to move around freely without a cord, they are able to focus without distraction on getting their message across. A wireless mic can be invisible to the congregation, or a visible and active part of the message. Either way it enables a whole new level of expression. All that said, wireless microphones do come at a cost. Compared to a wired microphone, a wireless mic is more complicated and requires more attention and maintenance than a wired mic. For these reasons, wireless microphone systems are not always the best solution for every micing situation in a church. If a wired microphone does a perfectly good job in a given application, there is no reason to replace it with a wireless mic system. Will more than one person be using the mic? Will the microphone systems be used as part of a permanent system or with a portable sound system? How much background noise will typically be present in the area(s) where the microphone will be used? What piece of equipment will the microphone be connected to? A wireless microphone system is made up of two main elements: a transmitter and a receiver. The transmitter has two functions: it picks up the sound, and it sends out or transmits a radio signal. Wireless transmitters are portable, operate on batteries, and come in two styles: handheld or bodypack (or beltpack). The receiver also has two functions: it receives the transmitted signal (from the transmitter) and it sends the audio signal out to the next piece of equipment in the audio signal chain (usually this is a mixer). The receiver is AC powered, and it is often permanently installed with the other components that make up the sound system. Wireless systems come in two types: VHF & UHF. These acronyms differentiate between the frequency of the radio transmission, which carries the audio signal from the transmitter to the receiver. VHF, which stands for Very High Frequency, is the more common and is usually more affordable. UHF (or Ultra High Frequency) is typically higher priced, and it is the type of system where most of the new innovation and features are introduced in wireless mic systems today. We’ll now look into some of these points in more detail. Transmitters come in two styles: handheld and bodypack (also referred to as beltpack). Each type has its applications, and strengths and weaknesses, which will be reviewed here. A handheld transmitter looks much like a wired microphone. It can be mounted on a mic stand or held by the user. A handheld transmitter is used by someone who is either singing or speaking. In a musical situation, this would probably be the lead vocalist in the choir, a soloist, or the singer in a small ensemble. For spoken word, a handheld transmitter would most likely be used by a speaker who does not need their hands free while speaking. A handheld transmitter is also useful when there will be multiple speakers or when the user wants to move around and talk with different people, like a pastor talking with various members of the congregation. A bodypack transmitter consists of two parts: the bodypack itself – a small module which is attached to the user, and a microphone, several different types of which are used. Since the bodypack transmitter is worn, it is only used by one person. The type of microphone used is dependent on how much background noise is typically found in the area in which the wireless mic is used, and on the type of user. Microphone choices include lavalier or clip-on mics, which come in either omnidirectional or cardioid or directional styles, or headworn mics. If there is minimal background noise, then an omnidirectional lavalier microphone should do the job. However, if the background noise is an issue, a cardioid or directional lavalier, or in extreme cases, a headworn microphone, may be the best choice. Headworn mics are also effective for musicians who sing, such as drummers and keyboard players. In the “Wireless Mic System Overview”section, it was stated that the transmitter sends out a radio signal which is picked up by the receiver. Each wireless system transmits this radio signal on a unique frequency or channel, and this is an important issue to consider when purchasing wireless systems. The first question is VHF or UHF. VHF systems tend to be more affordable, but can be more prone to interference. UHF systems on the other hand tend to have more features, but they are also higher priced than VHF systems. Both types operate on the same frequencies as TV channels. VHF systems work on TV channels 2 – 13, and UHF systems on TV channels 14 – 69. So, when ordering a wireless mic, make sure that your dealer knows your location to ensure your wireless mic systems avoid interference with local TV channels. Using multiple wireless systems together requires that careful attention be paid to frequency or channel selection. 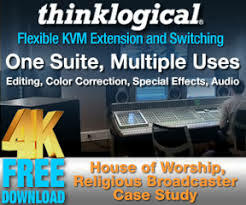 As the number of wireless systems used in your church or synagogue increases, the transmitted signals interact with each other to create “intermodulation distortion” or intermod for short. If careful attention is not paid to channel selection, this intermod becomes a sort of interference which can make wireless mic systems which work fine individually, fail terribly when used all at once. For example, you may have four wireless microphones that work perfectly together. However, if you add a fifth wireless microphone, and the frequency is not selected carefully with consideration given to the first four systems, they all may fail to work together if the fifth frequency causes intermod which interferes with the existing frequencies. This is an extreme but very plausible example. The key is to keep careful track of your operating frequencies, and work with your dealer and manufacturer to ensure all frequencies are compatible. When choosing a wireless system, it’s also important to consider the features and capabilities of the entire audio system: i.e., the other audio gear that will be used with the wireless systems. In the world of wireless the adage “you get what you pay for” certainly holds true. As an example, a lower-cost wireless receiver may feature only one connectivity option – a single unbalanced output. If your mixer has only balanced XLR inputs, you may have difficulty connecting the two pieces of equipment. Likewise, purchasing a top-of-the line $2000 wireless system probably doesn’t make sense if it is going to be connected to a 10 year-old powered mixer. Bottom line: match your wireless system to the gear it will be used with. Another important issue when addressing the use of a wireless system in a particular church setting concerns installation. Points to consider include the location of the sound system, where the transmitters will be used and receiver antenna mounting options. To ensure good wireless system performance, it is important that the transmitter be as close as possible to the receiver antennas at all times. However, if the church is large, and the altar is far from where the sound system is installed, this may be difficult. It is important to walk the floor during installation and find dropout areas where the strength of the signal picked up by the receiver is limited or weak. One possible solution to problems is to locate the receiver near the altar, using wired runs to get the signal back to the sound system. Another approach is to move the locations of the antennas to positions where reception is clearer. Since moving antennas is much easier when the receiver has detachable instead of fixed antennas, the need for this capability should be taken into consideration when selecting a wireless system. Both approaches have advantages and disadvantages. While wireless microphones are a powerful tool for many church audio applications, their purchase and use requires careful planning. 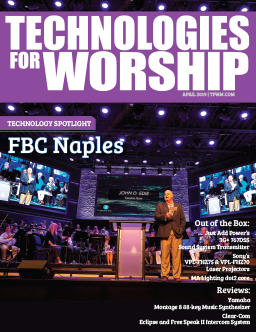 This article has hopefully introduced you to some of the things to think about when considering wireless for your church or synagogue. Remember to carefully think through your situation, and how the product will be used. And, most importantly, work with an equipment manufacturer and dealer or contractor whom you know and respect. Their job is to make you happy, and with their assistance, you can be assured of a positive experience with wireless.